This month Stouffville is celebrating 30 years of fun at its Main St. festival. If you’ve never attended come join in–it’s great for all ages. The Strawberry Festival is the big event of the year in Stouffville and this year’s schedule has lots of fun for all ages. Start off with theThursday evening Lion’s Beef BBQ, Fridayevening outdoor movie, the Saturday street Market, the strawberry pie and jam contest, street mini-putt, midway rides, pony rides, a car show, fireworks on Monday night and more! 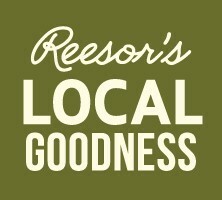 Reesor Farm Market at 10825 Ninth Line, Markham is now open for the season. Telephone 905-640-4568 for up-to-date information about the market and about Our Pick Your Own strawberry fields which will open about June 25. It takes a team to raise strawberries. 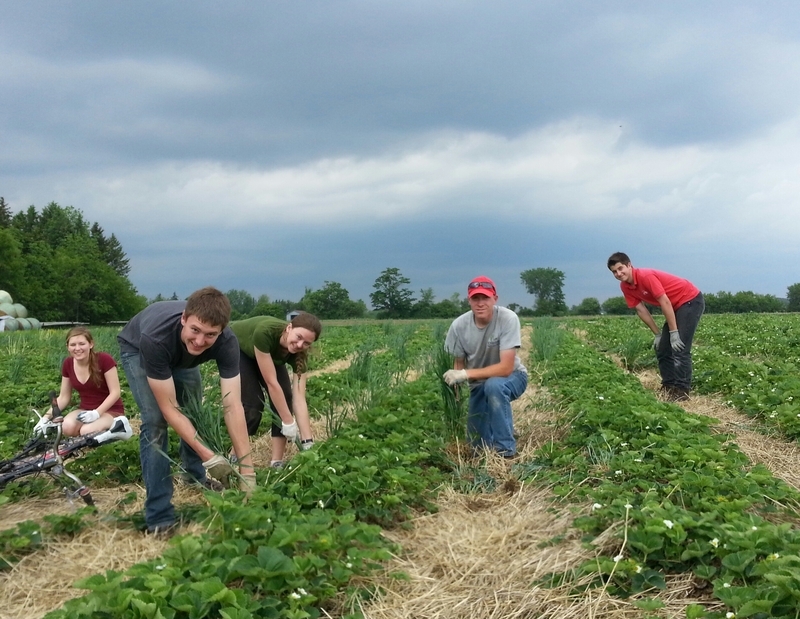 Sarah, Caleb, Elise, Grahame and Cameron were out doing the final weeding in this year’s strawberry fields in mid-June. Do you love to pick your own strawberries? 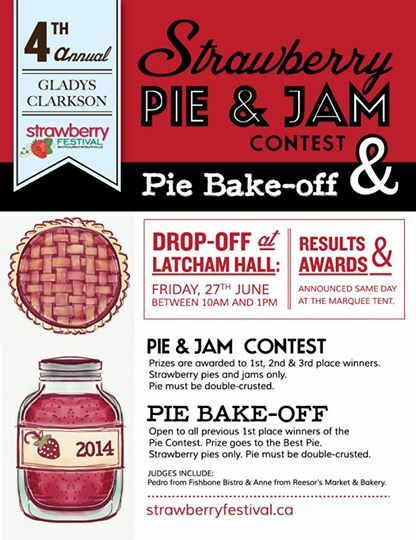 Or do you want to introduce your children or nieces and nephews to the pleasures of picking strawberries? You can bring your own containers to our strawberry fields or we have baskets for purchase. We also have a full selection of Ontario vegetables and fruits, and our own baking and preserves at our Farm Market. Main St., Markham at Robinson St.
Park Dr., just south of Main St.